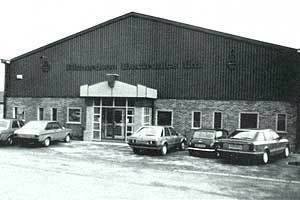 Find out how Richardson Electronics started and where we are today. Select dates on the timeline to learn more about the people and events which have shaped Richardson Electronics over the years. 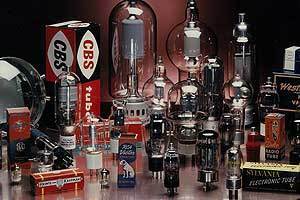 After WWII ends, Arthur Richardson takes a job with the faltering Majestic Radio Company to help liquidate its war assets inventory of electronic components. 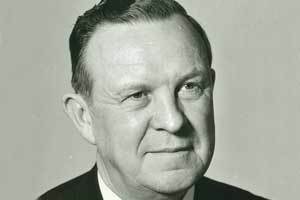 Arthur H. Richardson, Inc. is founded on May 31, 1947. Arthur sells power grid tubes to the telecommunications industry, storing the tubes in the barn on the family's farm in rural Wayne, Illinois. 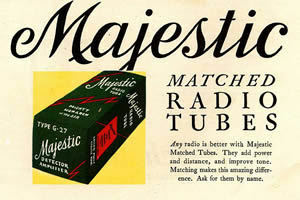 At night Arthur and his wife, Florence, clean and box tubes in their kitchen. 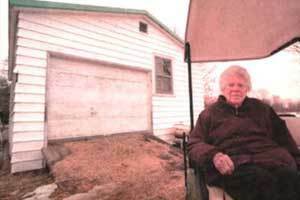 Pictured in front of the barn is Florence Richardson in 2001. Arthur opens a one-man office at 80 North LaSalle in Chicago. 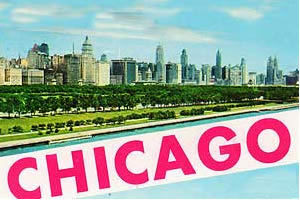 The company relocates its offices to 608 S. Dearborn, Chicago. 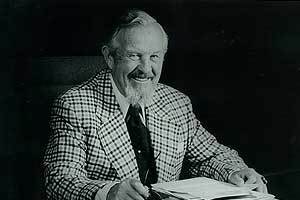 Edward J. Richardson joins the company, working alongside his family. 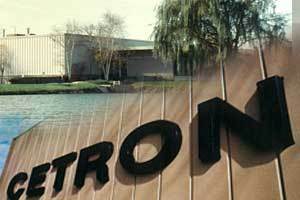 The company begins specializing in the distribution of electron tubes. The company now has three employees. 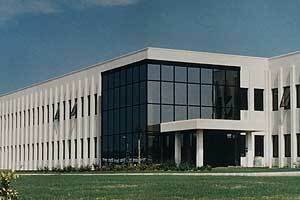 The company changes its name to Richardson Electronics, Ltd. and moves operations to suburban Franklin Park, IL. Richardson Electronics, Ltd. reaches its first million dollars in sales. Edward J. Richardson is appointed President. The company expands into new markets. Key suppliers are added to support the solid-state opportunities in the RF and wireless markets. RF Gain, Ltd. is established and becomes a distributor for the solid-state division of Thomson. Annual revenue reaches $12 million. National Electronics, Cetron Electronics & JSH Electronics are acquired. The first European Sales Office opens in Lincoln, England. 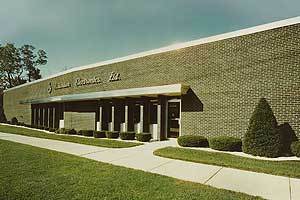 Richardson Electronics acquires RCAs small power tube product line. Richardson Electronics, Ltd. goes public. 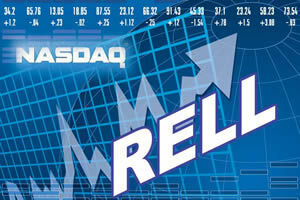 700,000 shares of stock is issued and stock is traded on NASDAQ under the symbol RELL. 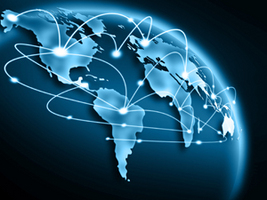 Richardson Electronics (Europe) Ltd. in England is linked to the US corporate data processing network via satellite communication. Annual revenue reaches $36 million. Richardson Electronics acquires Calvert Holding Company. Richardson Electronics acquires Jaro Electronics Corporation. 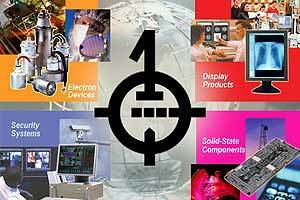 Richardson Electronics acquires AT&T Technologies’ electron tube product lines previously produced by Western Electric. 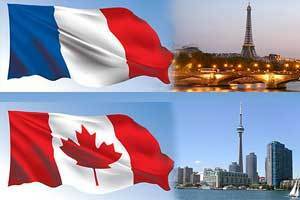 Sales offices open in Toronto, Canada and Paris, France. Richardson Electronics acquires CeCo Communications, Inc., a distributor of electron tubes and closed circuit television equipment. Corporate Headquarters relocates to LaFox, Illinois.A new organizational structure is implemented which delegates responsibility to ten product managers. The company now employs 460 employees worldwide. Annual revenue reaches $75.5 million. 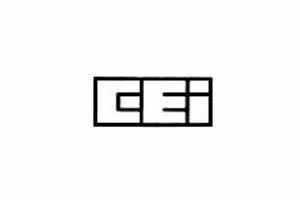 Richardson Electronics acquires General Electric’s ignitron line, Zaerix Electronics Ltd. (London) and Hall Electric Ltd. (London). REL enters joint venture with Varian Associates, Inc. to form Varian Supply Company (VASCO). Sales office opens in Madrid, Spain. Richardson Electronics acquires Giant Electronics Brand (GEB), Alpha Electronics’ electron tube distribution business and Cecotronics SA. REL signs distribution agreements with Motorola, TRW and Siemens. Richardson Electronics (Europe) Ltd. in Lincoln, England and Richardson Electronics Canada Ltd. relocate to larger facilities. Annual revenue exceeds $100 million for the first time. European Manufacturing operations relocate to Brive, France. Annual revenues surpass $118 million. REL establishes Security Systems Division and begins distributing CCTV equipment. REL enters the information display business: B-Scan’s Cathode Ray Tube (CRT) manufacturing line is acquired, a precursor to the Display Systems Group. Richardson Electronics acquires Westinghouse Electric Corporation Power Tube Division and JMS Electron Tube Distribution. 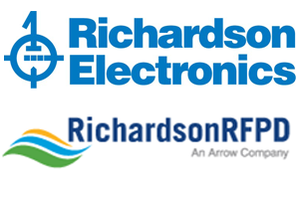 Richardson Electronics acquires PhilipsTransmitting Tube Product Lines. REL forms Joint Venture with MPD (formerly General Electric Microwave Products Department). First Richardson Sales Office opens in Germany. REL restructures into four strategic business units: Electron Devices, Solid-State Components, Display Products and Security Systems, to service customers’ requirements for advanced technology. 20% of the sales are REL manufactured products. Richardson Electronics GmbH relocates to larger facility in Puchheim, Germany (suburb of Munich). Richardson Electronics Iberica S.A. relocates to Madrid, Spain. The Technical and Applications Support Lab opens in the Netherlands. REL expands to the Far East – the first Asian office opens in Tokyo, Japan. Annual revenue reaches $156 million (40% of sales are international). 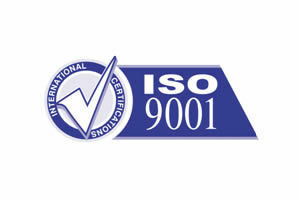 Richardson Electronics, Ltd. becomes ISO 9002 compliant. Richardson Electronics acquires Compucon Distributors, Inc., a distributor of interconnect devices operating in the northeastern United States. 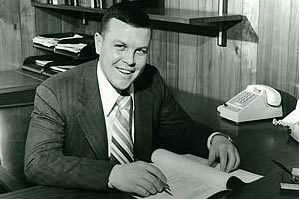 REL celebrates 50 years in business, one of only a few electronics distributors still operating. Florence Richardson (“Mrs. 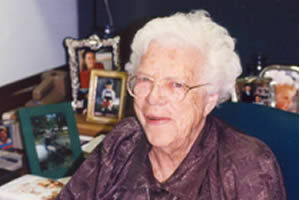 R” to employees) is still working seven hour days at age 92. Annual revenue reaches $255 million (46% of sales are international). The company has 700 employees worldwide. Richardson Electronics acquires Burtek, a Canadian security systems distributor. Richardson Electronics acquires Security Service International, Inc. (SSI), a Canadian security systems distributor. 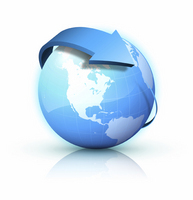 www.RELL.com debuts, reaching 50,000+ customers worldwide. 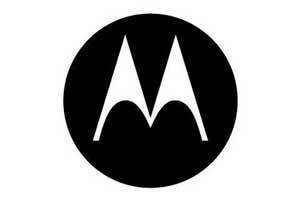 REL signs distribution agreement with Motorola’s Semiconductor Product Sector. Richardson Electronics acquires Eternal Graphics and Adler Video. Richardson Electronics acquires TRL Technologies, a manufacturer of amplifier circuits for the SSC business unit’s wireless communications operations. 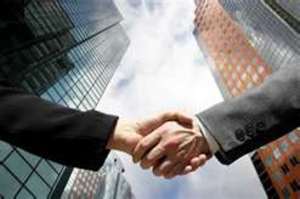 Richardson Electronics acquires Sahab S.A., a Mexican distributor of broadcast transmitters for the EDG business unit. Richardson Electronics acquires PixeLink, a systems integrator specializing in medical monitors for the DPG business unit. Industrial Power Group established, later to become Electron Device Group. 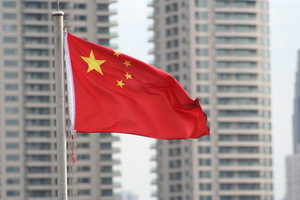 RELL continues to expand into new markets in China and Latin America, opens offices in Shanghai and Guadalajara, Mexico. 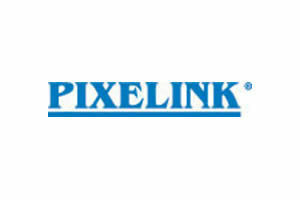 Pixelink acquired, expanding systems integration for medical imaging monitors. 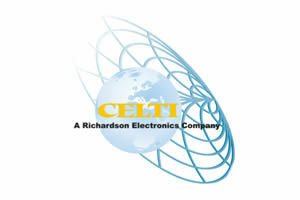 Richardson Electronics acquires Broadcast Richmond and Celti (France). Richardson Electronics acquires Apoio Technico (Brazil), a distributor of broadcast transmitters and equipment. Richardson Electronics acquires Aviv Electronics of Israel, a distributor specializing in design-in services for active and passive electronic components. Richardson Electronics acquires Baron Electronics, a distributor of electronic components in Latin America. Richardson Electronics acquires Sangus AB, a leading distributor and manufacturer’s representative specializing in design and engineered support for RF, microwave, and fiber optics products to the wireless and communications industry in the Scandinavian market. 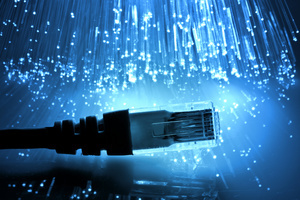 Richardson Electronics forms new fiber optic communications business unit. Richardson Electronics completes the sale of the Medical Glassware business to Royal Philips Electronics. 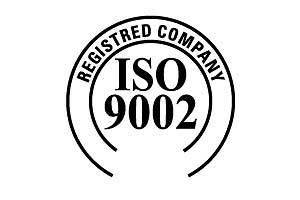 Richardson Electronics, Ltd. becomes an ISO 9001:2000 compliant organization. Richardson Electronics acquires Evergreen Trading company, a distributor of passive components in China. 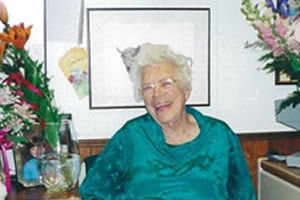 Florence Richardson celebrates her 100th birthday! Richardson Electronics acquires A.C.T. Kern GmbH & Company (Germany) and Image Systems to expand the Display Systems Group operations in Europe and across the healthcare market. Annual revenue reaches $575 million. 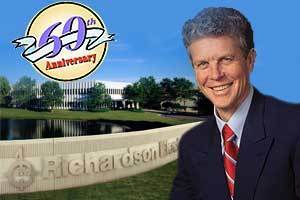 Richardson Electronics celebrates its 60th anniversary in business. Annual revenue reaches $665 million. The RF Wireless and Power Division achieves its first $100 million quarter. The Electron Device Group exceeds $100 million in sales. The Security Systems Division / Burtek is sold to Honeywell. Richardson Electronics launches new brand identity for the Display Systems Group Division: Canvys – Visual Technology Solutions. Richardson Electronics sells its RF, Wireless and Power Division to Arrow Electronics, Inc.
Richardson Electronics acquires Powerlink Specialist Electronics Support Limited (“Powerlink”) with service centers in the UK and Dubai. 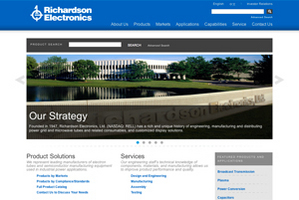 Richardson Electronics launches redesigned corporate web site.